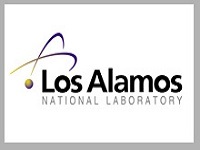 The LANL Archive is an archive of unrefereed preprints in the fields of physics, mathematics, non-linear science, computer science, and quantitative biology. It is run almost entirely automatically. Researchers from around the world may post their writing at no cost. Most postings are in English, but some appear in other languages. Postings can be accessed simply as a chronological listing in each subject area, or researchers may do searches by topic, author, etc. This service has many advantages. It is completely free and available to everyone in the world (with a computer). Postings are publicly available within 24 hours of submission. A wide variety of formats are possible, allowing for more informal discussions of material such as might appear in a seminar. This service also has a number of disadvantages. The most obvious is that it is up to the reader to judge the reliability of each posting. Many postings are written by reputable researchers and often published in peer reviewed journals. However, there is a certain amount of junk. Use this site to find the latest information and unpublished material. Once it has been published, refer to the published article for your research. Free database - no subscription is required.